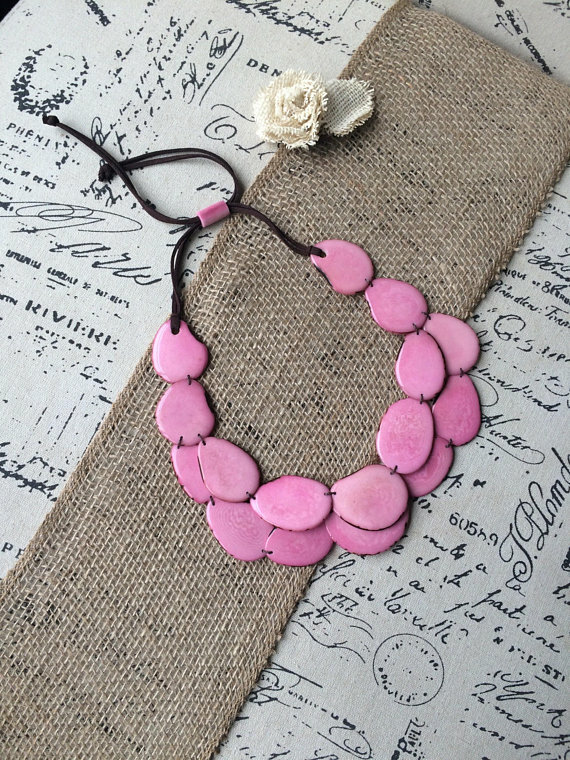 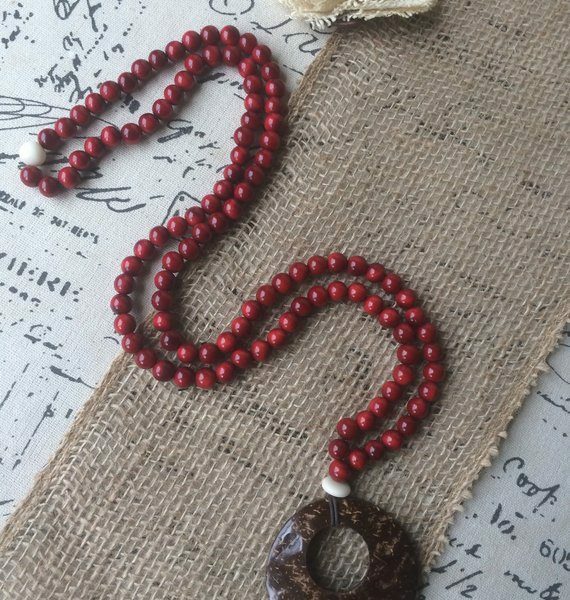 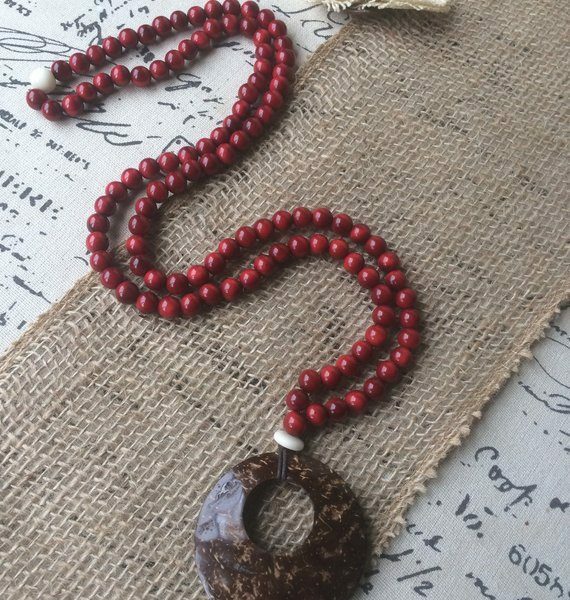 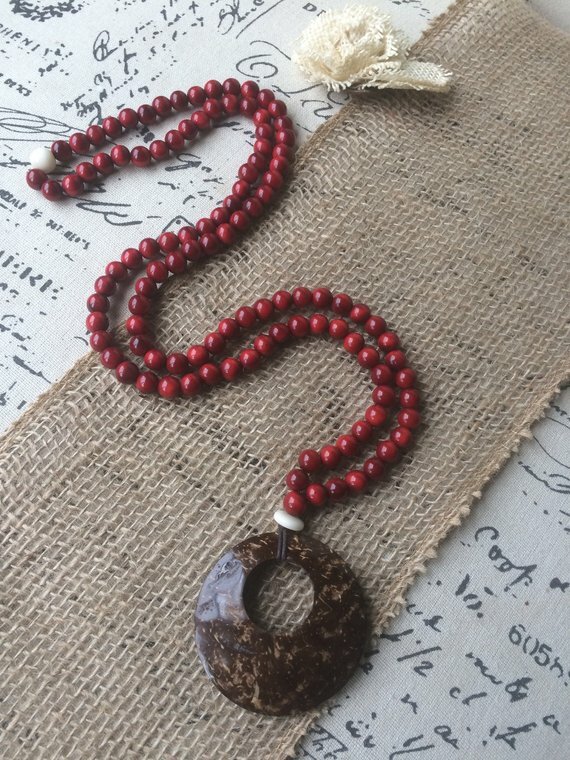 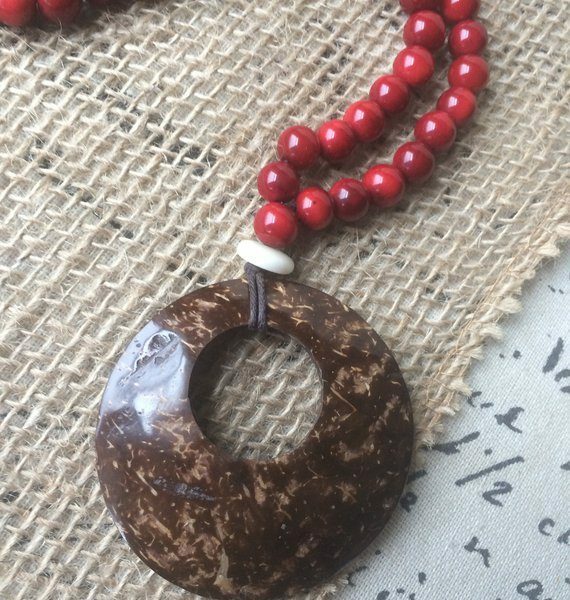 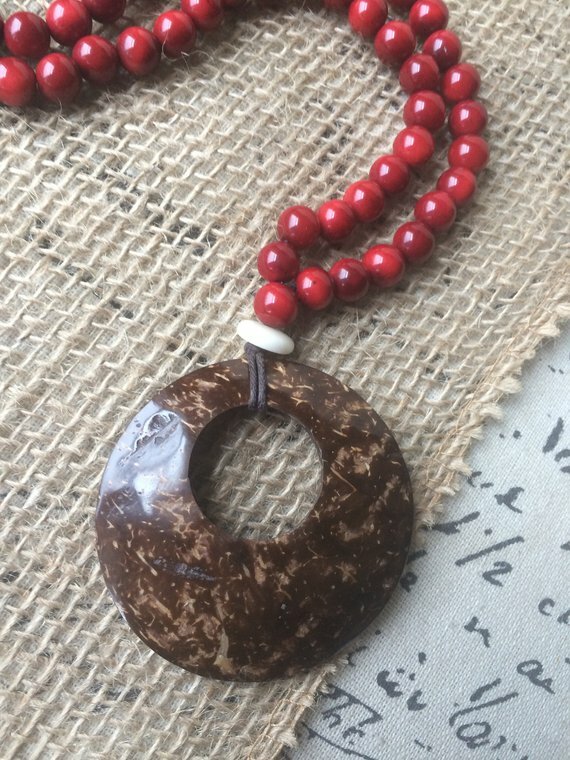 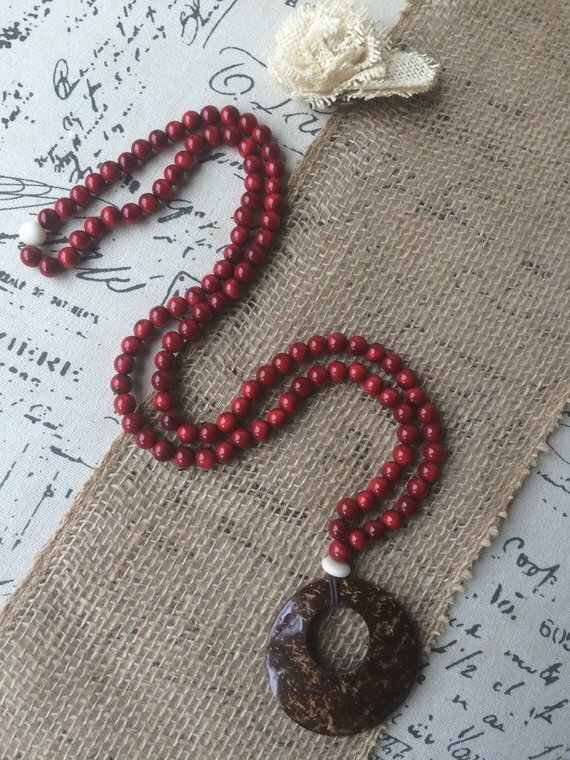 This Unique Eco friendly necklace, is made of Tagua nut from Ecuador, and coconut shell has been use to make the stunning pendant. 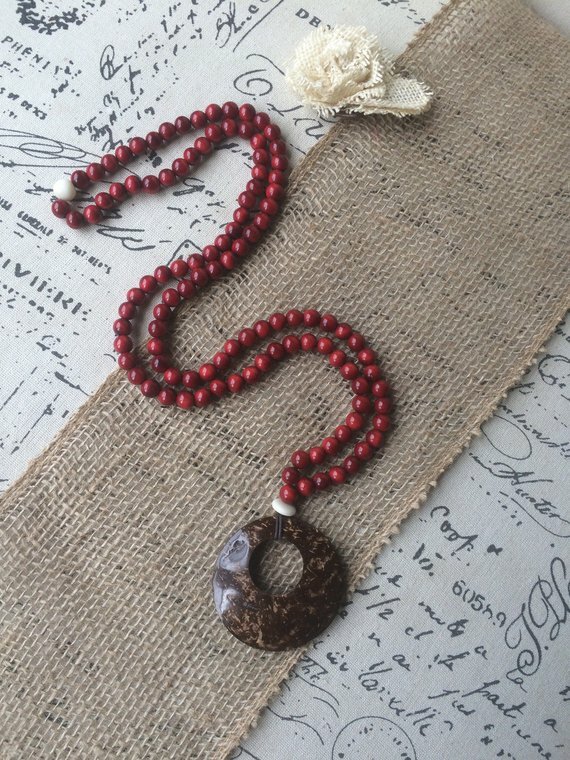 Each bead has been manually carved and shaped into round beads, they have been sewn together using waxed cotton cord. 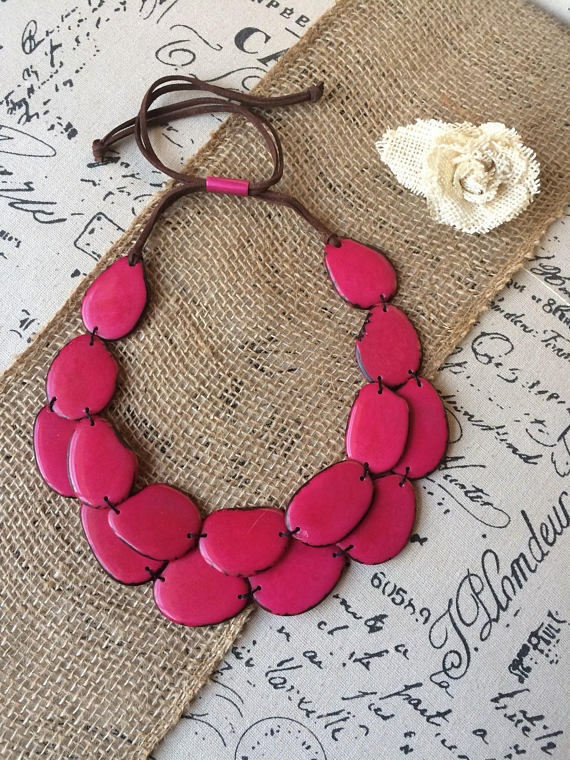 This necklace is versatile and will add elegance to any outfit, the necklace is 34 inches long. 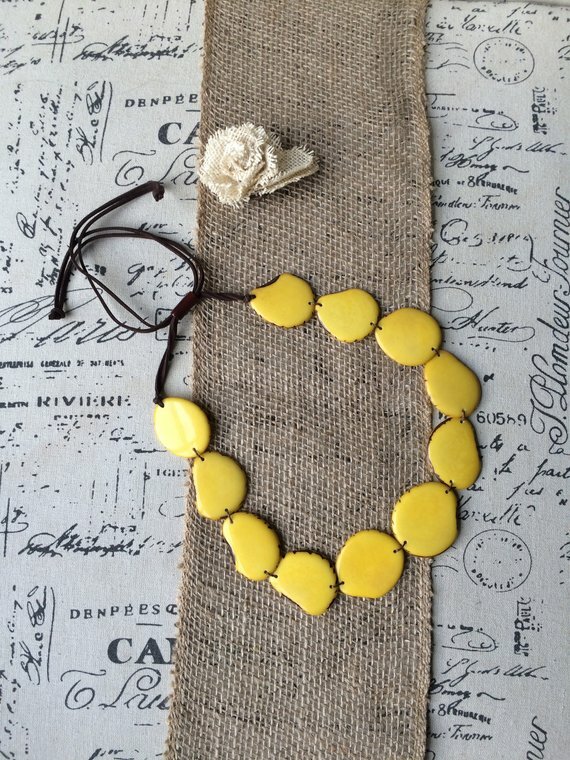 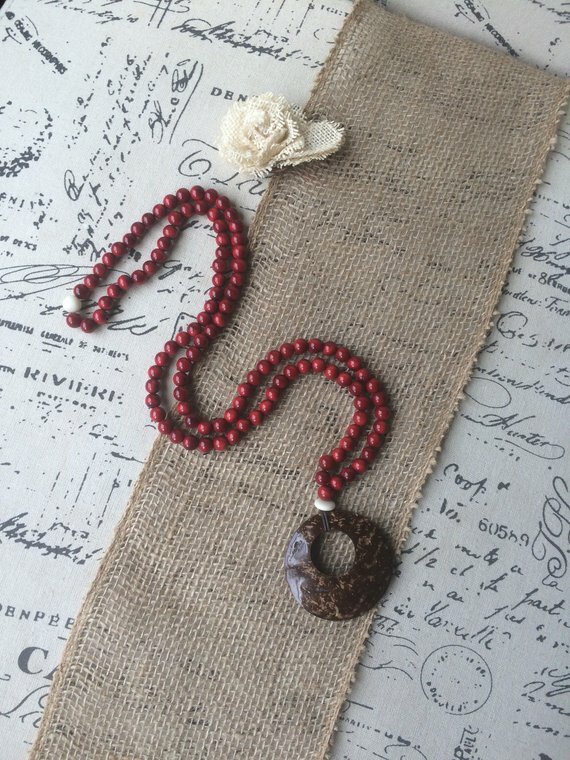 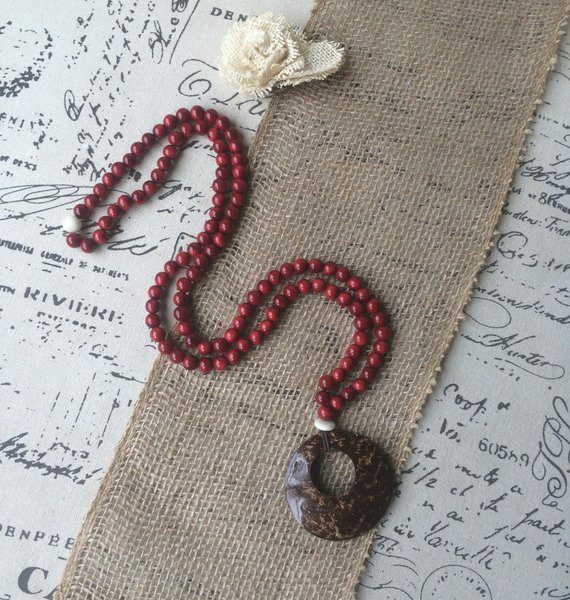 This is a perfect layering, neutral necklace to compliment many outfits.